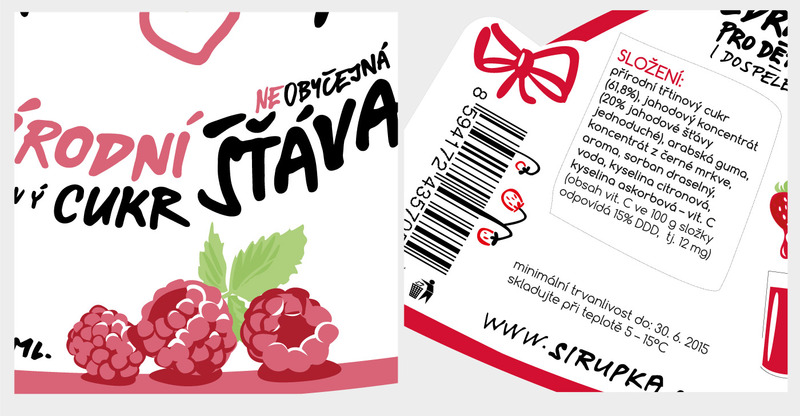 Here is one of the first ideas for label and bottle design and the final product. 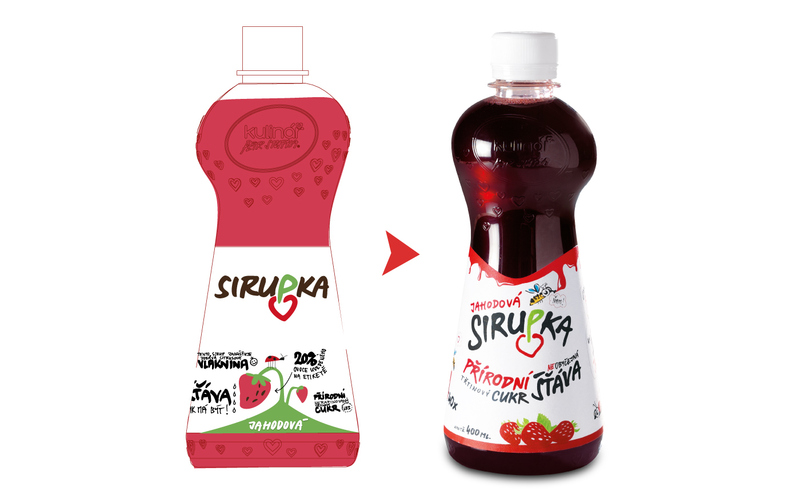 We’ve created bespoke plastic bottle shape along with the illustrated labels for this special natural squashes. 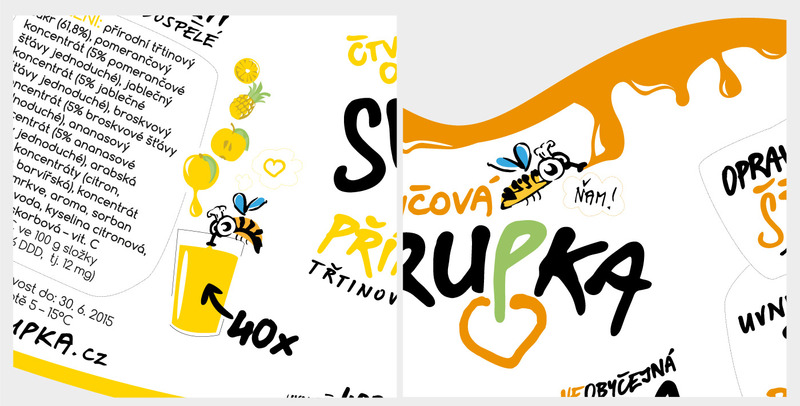 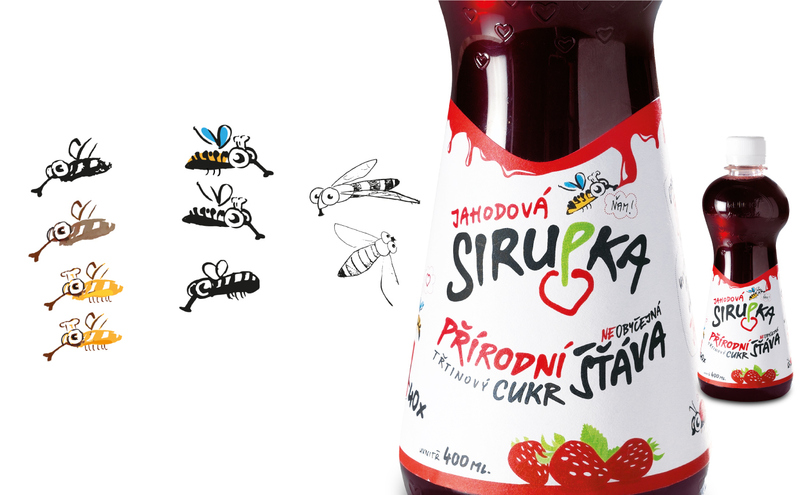 Original hand illustrated funny insect characters can be found on each of the squash flavour and also we used hand-drawn font shows natural character of the drink itself.